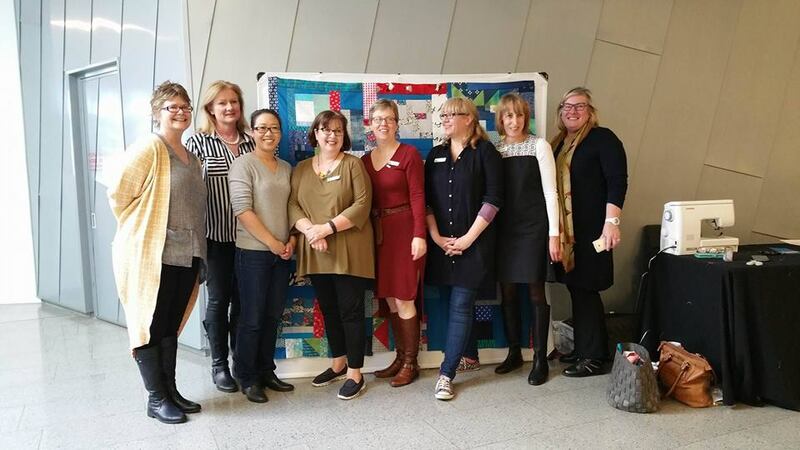 There’s a huge buzz around quilty town at the moment, with the opening of the National Gallery of Victoria’s (NGV) new exhibition “The Making of the Australian Quilt”. This stunning exhibition showcases quilts from 1800 – 1950 which are uniquely Australian and tell Australia’s story through quilts from the convict era to post WWII. 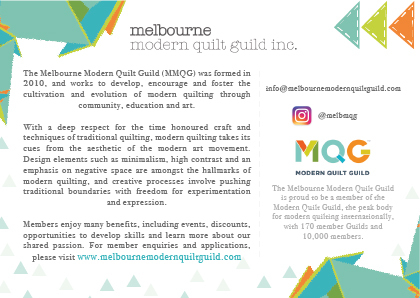 To celebrate the opening weekend, MMQG were thrilled to be invited to demonstrate some quilting techniques, along with Patchwork and Quilters Guild of Victoria. 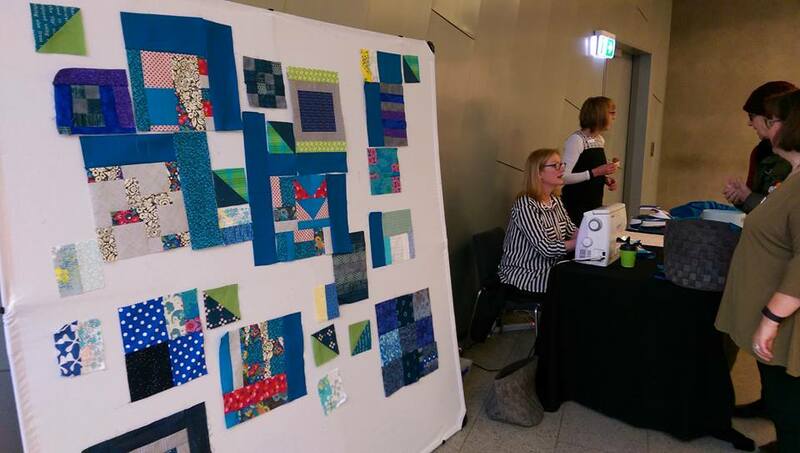 Quilting, right in the foyer at NGV, in front of strangers. 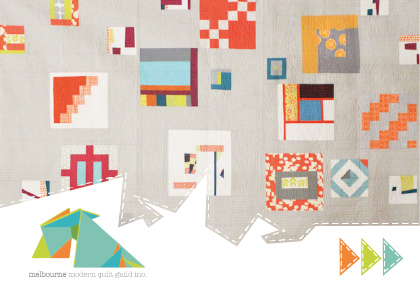 With many modern quilting techniques to choose from, we decided to focus on improv quilting, as it provided a great opportunity to not just demonstrate, but also encourage visitors to actually participate! We started the activity with just a design wall, and a dream. 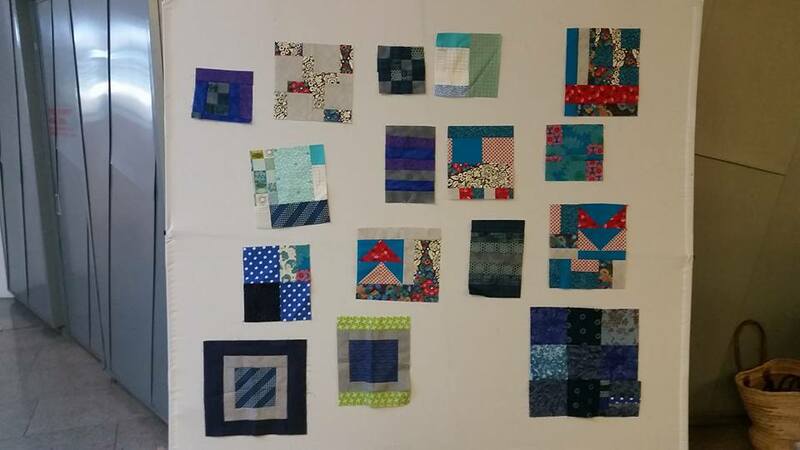 Oh, and some blocks made by members, a few metres of a vibrant blue solid and a basket full of fabric scraps. Our vision was to construct an improv quit top that very morning. Live and in person. We set up the design wall along with a sewing station, pressing station and cutting station, and set to work. We caught unsuspecting passers-by and asked if they would like to help us construct our quilt. 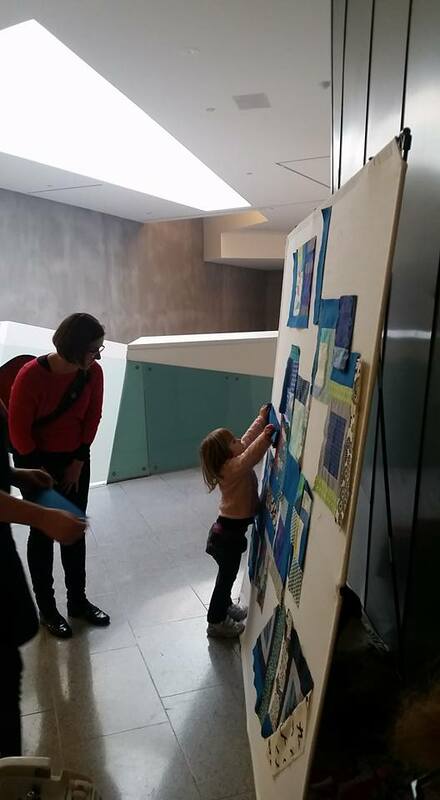 Visitors quickly became artists and designers, chosing fabric from the scrap basket and placing it where ever they wanted on the design wall – no right or wrong, no rules. We then stitched them up exactly as desired, pressed and trimmed the new block and they put it back on the design wall. And the quilt top grew, and grew. Yep, that’s an entire quilt top, constructed in just over 2 hours. (No biggie). 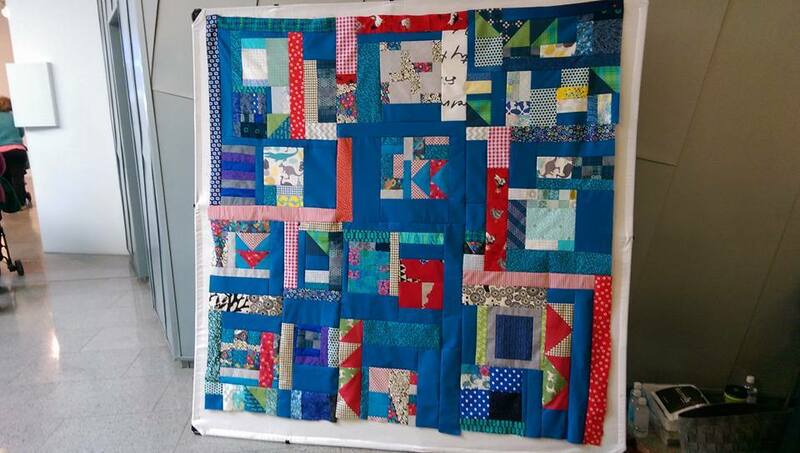 A HUGE thanks to MMQG members Billie, Andrea, Sandra, and MJ who worked like women possessed to achieve this great result; you are now all credited as makers of this group quilt, along with “anonymous members of the general public” (2016). Thanks also to the MMQG members who turned up and literally cheered us along; quilting to applause is indeed good for the soul. We also had some gorgeous postcards designed for this activity so we could promote our Guild and our work. Thanks @pinkyillustrates for our wonderful design work. And if you missed the whole thing, don’t fret! We’ll be doing it all again on 22 October. Details to follow.